If you want a traditional approach shoe this probably isn't it. 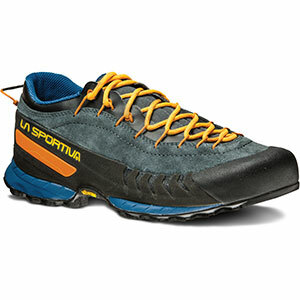 If you want a low cut boot with the stiffness and support of a heavy backpacking boot, you found it! Big miles with a heavy pack? No problem! 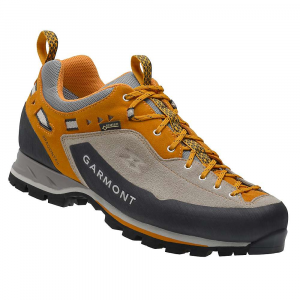 Garmont calls this an approach shoe, and it's in the approach section of this website, but I wouldn't call it that. 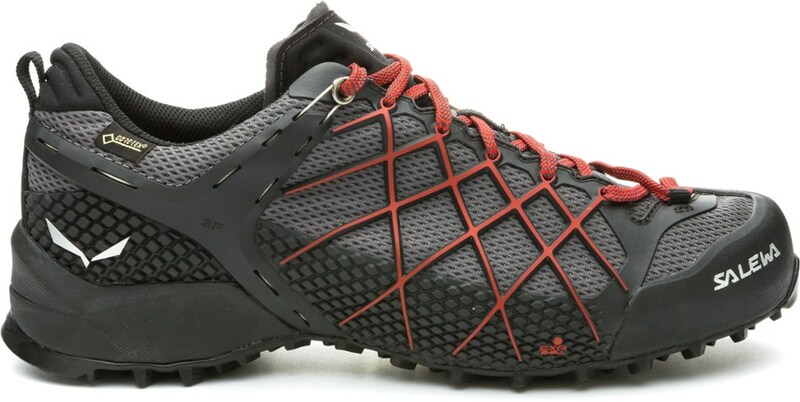 It's more like if you took a heavy, supportive backpacking boot, and just cut it down into a low cut hiking shoe. 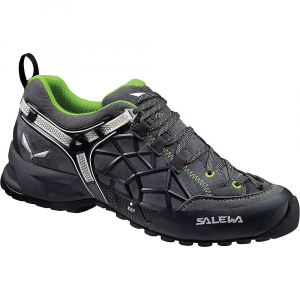 To me an approach shoe has sticky rubber with a sensitive sole, and the ability to really cinch it down hard to approximate a climbing shoe. If you're looking for that, don't buy this shoe! 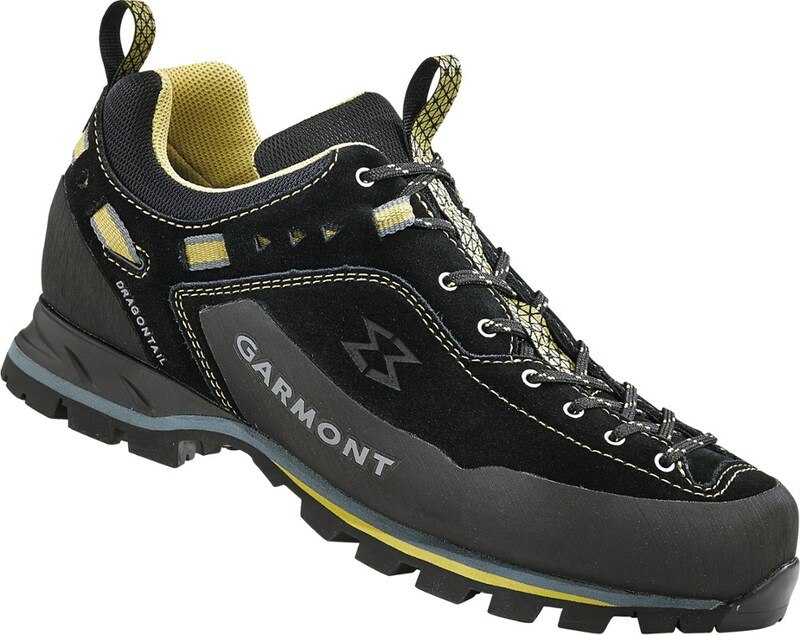 I was looking for a low cut boot that can handle high miles with heavy loads (40-50 pounds) without feeling the trail through the sole, and climb 3rd/4th class ridges out here in Colorado. This fits the bill perfectly. In fact, I'm not sure there's anything else like this on the market in the U.S. 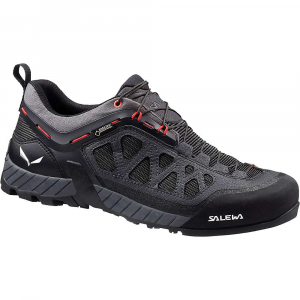 Most hiking shoes are little more than trail runners and this is definitely NOT like that. These things are tanks. The MNT is really well made. Overbuilt almost. The sole and uppers shoe very little wear after several weekend pack trips and a bunch of ridges. It seems like it should last for years. The fit is a bit on the small side so I sized up one whole size. If you are really only planning on climbing in this you could go smaller, of course. There's plenty of room in the toes, but the laces cinch that down easily if needed. Break-in is minimal and I was able to immediately use these as intended. That will depend on your foot shape of course. Support is great. I feel like I can stand on any portion of the sole, with a heavy pack, and the shoe won't deform or twist. I.e. rock hopping on talus. That's the mark of a good backpacking boot in my opinion. I do have strong ankles though so I don't need a higher cut boot. Overall comfort is very nice. There's a lot of cushion in the sole, and I can't really feel much of the trail through it. I need that to put on big miles with a heavy pack, otherwise my feet get sore and tired. 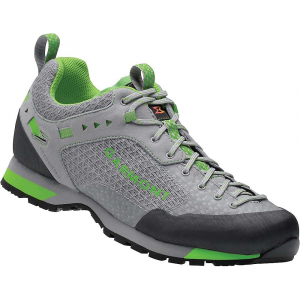 The MNT has added cushioning in the forefoot and you can really feel it. The only potential issue I can see is the heel lock. It may turn out to be a double edged sword. It works really well to keep your heel back in the pocket and eliminate slipping, but it's made out of exposed webbing. I tend to be really hard on boots on the inside of my ankles, right where that webbing is. I expect this to be the first part of the boot to fail, but it does look to be replaceable so hopefully that's no big deal. I thought about knocking the overall rating down to a 4.5 because of this design, but... it hasn't failed yet or shown any wear after a few months. In conclusion, if you're looking for a low cut, heavy duty shoe, give this a shot. Skip it if you need sensitivity on the rock. Welcome to Trailspace, Andy! Thanks for sharing your helpful reviews with us. I'd love to see some pics of your gear in your reviews too.